From the first Arctic Stone Age Cultures, the Norse settlements, the arrival of the Thule culture – the ancestors to the present Inuit to the gradual transition to modern Greenland. The National Museum has a unique ethnographical collection. Explore our collection from Ammassalik and Avanersuaq from 1880-1920 in the exhibition Thule culture – New people. 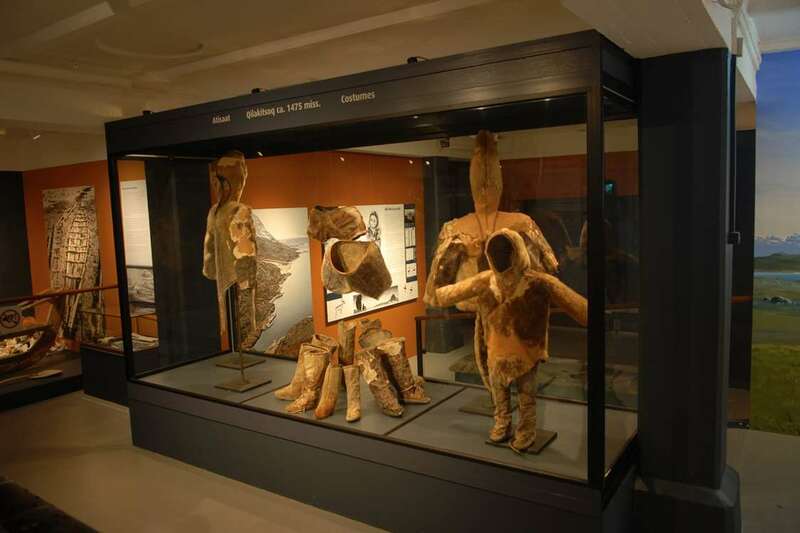 Discover the famous mummies and costumes from Qilakitsoq in northwest Greenland, as well as the world’s oldest and almost complete intact skin boat – the Pearyland Umiaq, whose well-preserved remains are estimated to date back to 1470s. 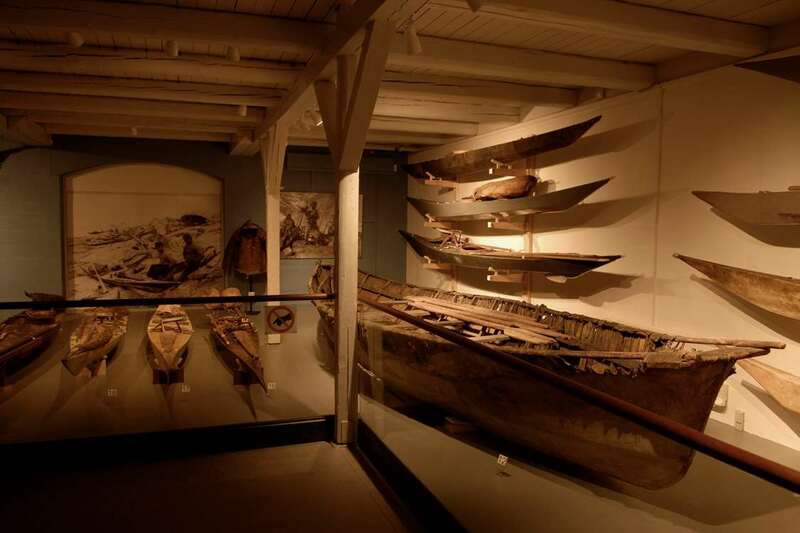 In addition Greenland National Museum has a large collection of Inuit means of transportation including full-scale skin boats and dog sledges as well as a prominent art and photo collection. Traditional clothes and small time warps provide an impression of the history and environments of the recent colonial period. 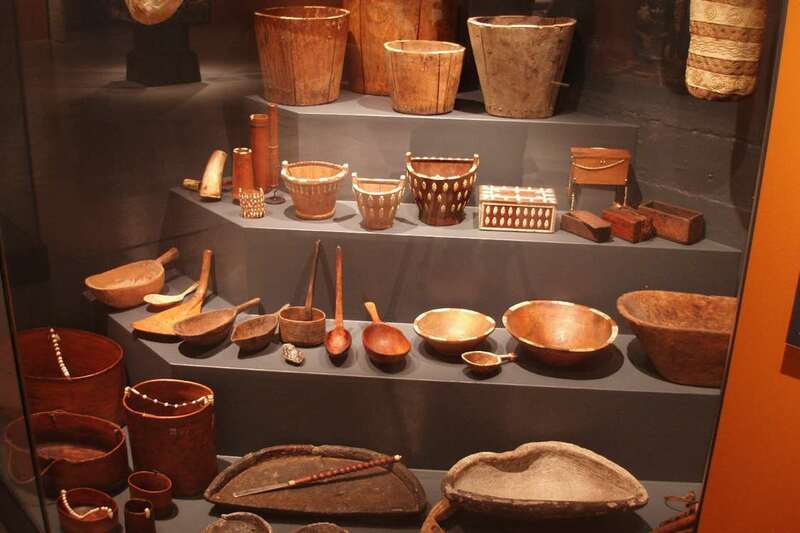 Special exhibitions will represent Greenland cultural heritage. Greenland National Museum is located in the characteristic colonial buildings at the old colonial harbour with a fantastic view over the fiord. The Landsmuseum was established in 1966. 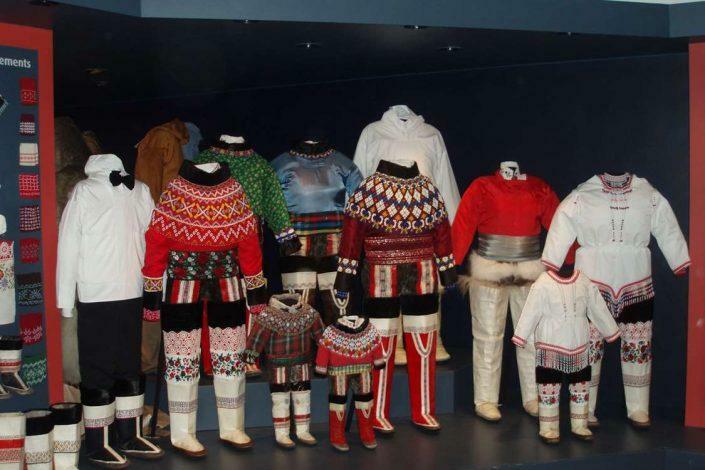 In 1991 the Landsmuseum and the Landsarchive – the first archive in the country – merged and was from then on acknowledged as Greenland’s National Museum & Archives (NKA).